The focus of our second collection is one of freedom and inclusivity. As a result, we’ve created eight unisex designs — each piece an exploration of artisan craft free of gender-specific codes. 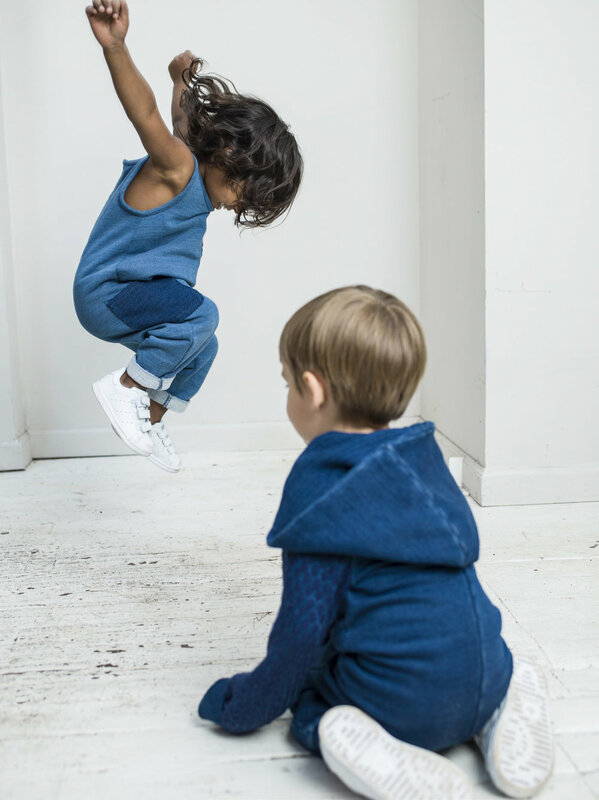 In our second season we explored more patterns and prints inspired from Japanese indigo traditions and invited our kids and our community to play along with us. 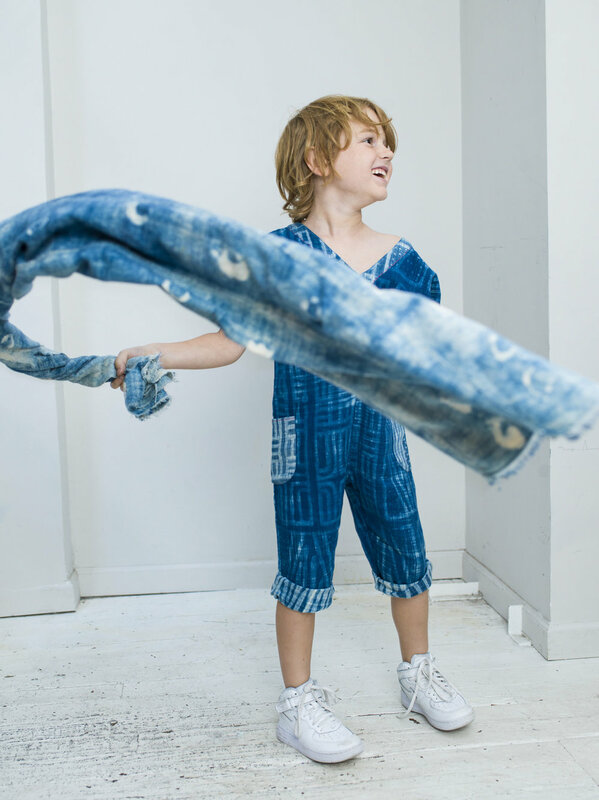 We let the kids loose in our design studio and let them explore our fabrics, vintage textiles and antique artifacts. Their freedom to choose where to go and what to explore led to some really priceless moments that we’ll cherish always.